Q: Could you provide our readers with a brief introduction to Vivala Technologies? A: Sure. A group of experienced entrepreneurs and code prodigies, we have embarked on an exciting journey 16 months ago in Tel Aviv. The challenge we took upon ourselves was to succeed where many have failed before: to create a social gaming experience that combines strong fan engagement with a viable financial model, in the likes of the world’s leading gaming apps. Inspired by the amazing leaps in sports related technology and the wide adoption of AR interactions, we have decided to introduce an innovative interaction between sports event viewers and live game moves, that is based not only on standard outcome (score / no score) but also on the court location of interesting events. US basketball was chosen as the best candidate for the patent pending technology and user interaction, while we are also currently in the midst of developing a series of additional games spanning a multitude of sporting verticals. Q: You’ve recently officially launched Hoopit on Google Play and on the Apple app store; could you tell us something more? A: Yes. Actually we managed to do a quiet launch in both stores during the playoffs of last season. The adoption and the engagement were both highly successful and have surpassed our expectations. 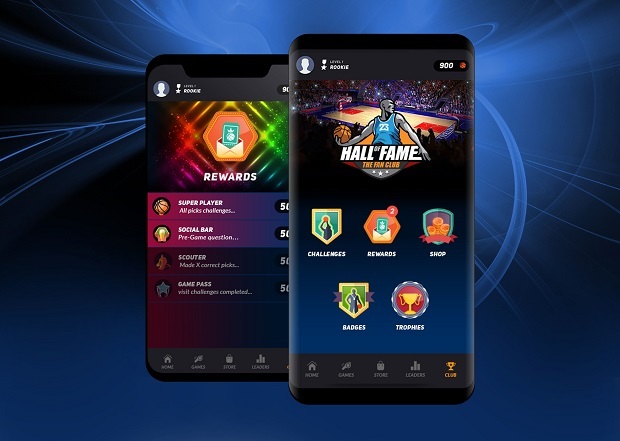 Now we are launching full scale during the NBA season and soon throughout the college league NCAA with a more comprehensive product that includes fun social features, cool gamification elements and 24/7 predictions. Q: Tell us more about how Hoopit works? A: Behind the pretty and simple-to-use app, there is a complex set of machine learning and artificial intelligence algorithms that calculate in real-time the probability of a certain event to happen from a specific court location. So, although it’s just a free to play game with virtual coins, the probability is very accurate, and it reflects quite quickly who is a smart predictor and who is just randomly making ridiculous picks. Q: Why is now the time for a technology solution like Vivala Technologies? A: Traditional sports are struggling to keep millennials as a loyal audience, as many of them drift to eSports or other addictive mobile games. We think that solutions and experiences like we offer could bring younger audiences back to sports fields and broadcasts. A: Alongside some strategic partners in Asia, we are obviously planning for additional titles releases, relating to other popular sports, as we march on towards creating the ultimate, killer implementation of eSports predictions games. Q: So, how does it work for users? How do they play Hoopit? Q: What other features are available on the app? A: Hoopit prides itself on social engagement, allowing players to challenge friends to duels and even create private leagues with their colleagues. The app tracks the success of each individual user and stack ranks all statistics in a global hall of fame of prodigy predictors. When there are no live picks or games available, users can practice general predictions over future games (winners, top scorer, total points etc.) and gain automatic access to in depth pre-game stats and analysis. E2Technologies Releases The Tinder Of Real Estate Apps? !